The city, previously named Cajeme, takes its name from Mexican Revolutionary Álvaro Obregón, a native of nearby Huatabampo, Sonora. Álvaro Obregón became president of Mexico after the Revolution and initiated an "agricultural revolution" in the Yaqui Valley, introducing modern agricultural techniques and making this valley one of the most prosperous agricultural regions in the country. Renowned U.S. agronomist Dr. Norman Borlaug, the architect of the "Green Revolution" worked here after successful developments in increasing the resistance of wheat. For his efforts he was later awarded the Nobel Prize. Ciudad Obregón has a desert climate (Köppen BWh) featuring long, extremely hot summers and short, warm winters with cool mornings. It is frequent that in summer the temperature reach 40 °C (104.0 °F) or more, with overnight lows greater than 24 °C (75 °F) and sometimes reaching 30 °C (86 °F). Sunny skies and clear nights can be expected through all the year. Many severe thunderstorms with sandstorms reach the region in summer. Rainfall is scarce but it is more prominent it the summer. In the winter, daytime temperatures can be hotter than 26 °C (79 °F) but at night the temperature can fall to 2 °C (36 °F). Snow in Ciudad Obregón is nonexistent, but hailstorms can occur during cold fronts. The extreme temperatures recorded in the box below between 1961 and 2016 were recorded at the Downtown Station of Ciudad Obregón, Sonora. 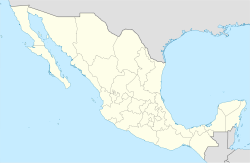 The Yaqui people are settled in eight towns, Potam, Huirivis, Torim, Cocorit, Bacum, Vicam, Rahum and Belem. seven kilometres (4.3 miles) from the city is the first of the eight Yaqui towns that make the autonomous territory of these people known for their independent character, because it is one of the few American ethnic groups not dominated militarily by Spanish colonialists. Yaqui history is covered with acts of heroic resistance for the defense of their territory and culture, an ancestral culture enriched by rites and traditions of which the Deer Dance stands out, a symbolic representation of the hunt for this animal whose aesthetic richness has awakened interest the world over. In the rites of Passover and Easter, or in the Day of the Dead celebration, Yaqui culture reaches its highest splendor and shows us the survival of mystery, the unity of man with the universe and the intimate relationship between people and the nature that surrounds them. One day the wind of Passover takes the Pharisees to roam the nearby cities hidden behind leather masks; another day rivalries and mundane ambitions are forgotten so that the whole tribe may join in the commemoration of its faithfully departed. Men and women that practice traditional medicine apply ancient knowledge passed on by their ancestors and with herbs and ointments cure the sickness of their relatives. Dance, music, traditional medicine and Yaqui festivities are the expression of a magical world of religion that coexists in harmony with western culture. Obregon City is also Birthplace to one of its most notorious past inhabitants: El huilito Rojas from the very first settlement in obregon city: plano oriente of Cardenas Ave. and Guerrerro. As of 2005[update] the per capita income for the municipality of Cajeme was $10,940 and the Human Development Index was 0.8635. A peculiar tourist attraction, a product of man's whimsy is the artificial “Nainari Lagoon” with a 2 kilometres (1.2 miles) perimeter located at the western city limits between Guerrero and Padre Eusebio Kino avenues. It is used for outdoor sports, and its two piers are a focal point for aquatic activities like skiing, sailing and canoeing being the site for triathlons, marathons, and bicycle races. Cold coconut stands where you can find the freshest coconuts and other fruits such as mango con chile, and restaurants. This small oasis is artificial, built in 1956, one of the great achievements of City Mayor Rene Gandara, who opened the hydraulic gates to fill the reservoir. Before, it was a lagoon region where there was duck hunting and rice was grown. The Nainari Lagoon is a tourist attraction that has small boardwalk and a boat dock. It also has a shelter for tourists by the water's edge. Water is constantly circulating as it is connected with one of the main canals in the irrigation district, the Lower Canal. The Lagoon has been in recent years better tended and remodeled by the authorities. It has at its entrance a small garden with a bronze statue of a discus thrower which gives it much enhancement. Just next to the lagoon there is a sports complex "deportivo". It has an Olympic size swimming pool and it has all types of sport courts such as tennis, basketball, soccer, and fronton. Next to the Nainari Lagoon we have the Ostimuru Children's Park and the Ostimuri Zoo, the best place to stroll with the family, here you will find an ample variety of mechanical rides for your children. The trees that surround this place cover it with lush branches like a caress from the sky. At the park's edge is the Ostimuri Zoo - an artificial habitat where a wide variety of animals exist, the song of birds as you stroll through this place is like a melody from heaven. [original research?] As you make your journey in the midst of animals, you are surpassed by a boa as if it were a guardian of this place. The museum offers a perspective of Yaqui culture having among its objectives rescuing, preserving, investigating and spreading the culture and way of life of the Yaquis. As well as stimulating in the state's population the rediscovery of historical, linguistic and ethnic values of the Yaquis. Another objective is to show Sonoran children and teens the particular characteristics of Yaqui personality and the richness of their folklore. [tone] Another objective is to raise consciousness among Sonorans in regards to the development of historical events of the Yaquis as well as the important influence that they had in the formation of groups and classes that constitute the regions current society. This is made more accessible through visuals and scenes of daily life of the population of said tribe, mounted with the instruments, tools and original clothing that has been with them since ancient times and distinguish them on and international level. This construction dates from the previous century, its architecture is of colonial style. It has four exhibition rooms and an ample garden where we find permanent samples of painting and sculptures as well as arts and crafts. Among the House's visitors is the internationally renowned sculpture and painter Jose Luis Cuevas. Among the objectives of Cocorit House is to support art in those people with artistic attributes that don't have enough support. That is why local artists call it the region's haven for the arts. The General Álvaro Obregón Dam also called the Oviachic Dam, named taken from the place where it is located, starts its construction in the year 1947 and it's finished in 1952, being filled for the first time on July the same year. It is located 35 kilometres (22 miles) north of Ciudad Obregón. Lake Oviachic has a surface of 20,500 acres (83 square kilometres) and a storage capacity of 3226 millions of cubic meters; it is part of the dam system on the Yaqui River, it's the state's largest dam and the third located on said river. From the Oviachic Dam a 27,603-kilometre (17,152-mile) network of main and secondary canals is derived that irrigate 450,000 hectares (1,100,000 acres) of surface in the Yaqui and Mayo Valleys, being one of the most important hydraulic infrastructures in the country. During the last two decades this hydraulic work has become one of the main and most visited tourist destinations in our region. Huivulai Island is located 50 kilometres (31 miles) south of Ciudad Obregón and 5 miles (8.0 kilometres) off the Sonora coast in the Gulf of California (Sea of Cortez). In Mayo, Huivulai means "long neck". The island is 17 kilometres (10.6 miles) long and 1.2 kilometres (0.7 miles) wide at its widest part. The island features many natural attractions including sand dunes used by four-wheel drive vehicles. The island has a water well oasis surrounded by date trees that attract many species of birds, including gray and white pelicans, corvetta, gray crested cranes, storks, and albatrosses. The island is ringed by beaches and features fishing opportunities off-shore. The most popular sport in Obregon is baseball. The city's professional baseball team is the Yaquis of the Mexican Pacific League, who play at Tomás Oroz Gaytán Stadium. ^ "Normales Climatológicas Ciudad Obregón 1961-2014". Retrieved 9 April 2017. ^ "Normales Climatológicas Ciudad Obregón 2015-2017". Retrieved 9 April 2017. ^ "Normal Temperatures and Precipitation for Ciudad Obregón 1981-2010" (in Spanish). Servicio Meteorológico Nacional. Retrieved 9 April 2017. ^ "Extreme Temperatures and Precipitation for Ciudad Obregón 1961-2010" (in Spanish). Servicio Meteorológico Nacional. Retrieved June 1, 2017. ^ "Station 76258 Ciudad Obregon". Global station data 1961–1990—Sunshine Duration. Deutscher Wetterdienst. Retrieved 9 February 2016. ^ "Census Data". Retrieved 7 February 2013. ^ Oficina Nacional de Desarrollo Humano (2005). "IDH Municipal 2000-2005 base de datos". Archived from the original on 2009-03-06. Retrieved 2008-12-17. ^ "Hector Velázquez Stats, Fantasy & News". Boston Red Sox. ^ "About Us..." tucsonmexicosistercities.org. 2017. Retrieved 2018-05-03. Wikivoyage has a travel guide for Ciudad Obregón.